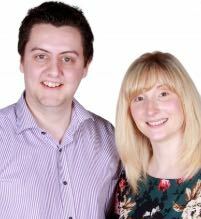 Philip And Rachael Agnew – Members of MBC – are local directors for South East Antrim. Their ministries include: School Assemblies, Good News Clubs, RE classes, Camp, Holiday Bible Clubs, Junior Youth Challenge, Senior Youth Challenge and, Prayer Cells. They endeavour to do this through various ministries to children and young people. CEF is an interdenominational, international organisation working in over 190 countries around the world. Their passion is to teach the Bible to children in a fun and relevant way!